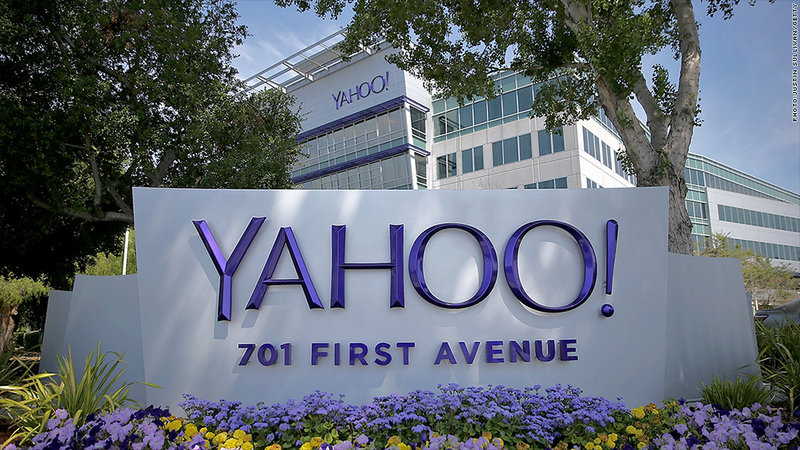 Financial analyst: It's time to cut up Yahoo! An investing group backed by Warren Buffett is among the bidders for Yahoo's core Internet business, according to a person familiar with the sales process. The group is led by Dan Gilbert, the founder of Quicken Loans and owner of the Cleveland Cavaliers. Yahoo began accepting bids last month and many major tech and media companies have looked at it, in addition to private equity firms. Verizon has been widely considered to be the most likely to pursue the purchase. Verizon has been expanding into digital content and advertising and last year bought AOL for more than $4 billion. At its peak in early 2000, Yahoo was worth $255 billion. After a series of missteps, bad bets and six CEOs over the past nine years, the entire company is now valued at $35 billion. But that includes Yahoo's stake in Alibaba and Yahoo Japan, which would not be part of a sale. The core Internet business would be valued at roughly $5 billion, according to the source, though reported estimates have gone as high as $8 billion. The Internet business, including search, mail and news, still attracts a massive audience, but the finances have been shrinking. First quarter results released in April showed a decline in revenue and a big loss. CEO Marissa Mayer called the sales process a "top priority." If Mayer loses her job after a sale, she is due a hefty payout: $55 million, according to a recent regulatory filing. News of the Buffett-backed bid was first reported by Reuters. Berkshire Hathaway, Yahoo and reps for Dan Gilbert did not immediately respond to requests for comment.